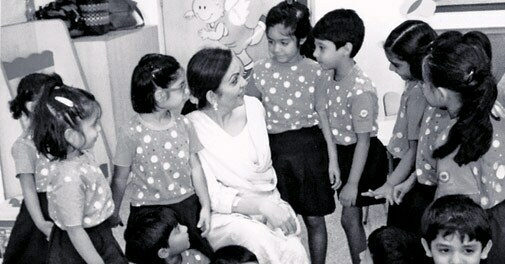 At over Rs 1,500 crore a year, Nita Ambani runs India's largest Corporate Social Responsibility initiative. 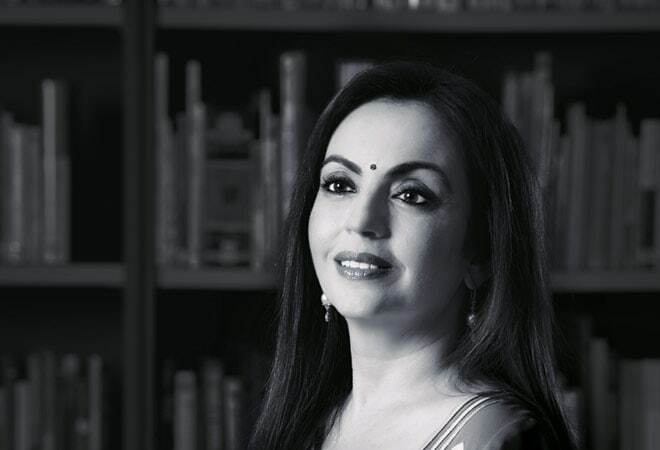 "I am on the board for the CSR," says Nita Ambani, director, Reliance Industries . That may be the bare truth, but by all accounts an understatement. At least, that's how Reliance watchers see it. Instead, analysts see Nita's elevation to a board in June 2014 as her anointment to the second most powerful position at India's largest and most profitable private sector company, the Rs 3.88 lakh crore Reliance Industries (RIL). And that's not just as the joint owner and wife of Chairman and Managing Director Mukesh Ambani, but for taking charge of her own destiny. Her first tryst with a board was three years earlier when Nita joined the board of directors at EIH Limited, that runs The Oberoi and Trident chain of hotels. Right after RIL bought a 14.12 per cent stake in EIH. Ambani's power presence is believed to have staved off what was building as a possible hostile takeover attempt by arch rival ITC , owner of the Sheraton chain of hotels. Over 10 years, ITC had built up a 14.98 per cent stake in EIH. It certainly helps RIL's cause that her appointment to the board conforms to Sebi's mandate of at least one woman director on every listed company's board. But by itself, the Rs 1,566 crore annual outlay she oversees wields an influence greater than several mid-sized companies. While RIL declared an investment of Rs 805 crore on its own CSR activities in 2014/15, the company's five-year old philanthropic initiative Reliance Foundation spent another Rs 761 crore on its activities. "Everybody learns. Even if you have had 20 board positions earlier, being on the Reliance board will be demanding because of the scale and the size. She will grow into it and settle down. I just hope she keeps time for these philanthropic ventures," says Zia Mody, who has known Nita since she was 15, through her husband Jaydev's family. "She wanted to study law until Mukesh told her it's a rubbish profession," adds Mody. Former CSIR chief R.A. Mashelkar, an independent director on RIL's board, remembers the meticulous manner in which Nita got into the nitty gritties when she was to deliver an acceptance speech for an award on behalf of Mukesh Ambani. But that's just a speech. Nita's most prominent trait is being compulsively obsessive about detail. "I don't think devil is in the detail. I think God are in the details. I get a little bit obsessive also," she acknowledges. Whether it's the uniform at the newly opened Sir H.N. Reliance Foundation Hospital or the menu for patients, or the building design and patient flow, everything bears Ambani's stamp. Or, for that matter, the inauguration of the hospital by Prime Minister Narendra Modi. She planned the event by the minute. Ajay Berry, Director, Operations, at the hospital, says she gave patient centrality a whole new meaning. For instance, she approved the use of hi-tech Burlodge trolleys to serve food for patients. The trolleys can carry both warm and cold food at the same time and also keep a log of the serving. "Each trolley costs more than a Honda City," says Berry. But the biggest contribution came from bringing her own experiences of tending to patients such as Dhirubhai Ambani and even her father who was in coma for five years. Nita suggested use of gel warmers in ultrasound rooms to prevent the discomfort of cold gel. She suggested blankets in the usually freezing MRI rooms, and a music of choice to soothe the nerves while inside the MRI machine. "All my ICUs have windows in them. My father didn't see daylight for five years," says Nita. "She has the ability to seamlessly integrate all aspects of her work," says Berry. The Foundation has now launched the "Health For All" initiative through a community outreach programme for the underprivileged within five kilometres of its hospitals. But when does involvement cease to be attention to detail, and become micro-management instead? "Micro-management is in the realm of 'How'?". She never tells you how to do things. She will challenge the team to come up with the best possible resolutions under a situation," says Berry. get into higher education, university. I want to get into things like liberal arts, engineering, dance"
It is this attention to detail that also reflects in the relationships Ambani builds, both at work and with friends. "She has a way to make you part of the Reliance family. She will ask about children. She would know if a child has an illness. I don't know how she does it. But she has a way of figuring out. There are too many instances where she overwhelms you," says a former employee. She even cooked the first meal at the hospital kitchen herself. Ambani says the compassion comes from her middle class upbringing "living with 32 family members in one house and 11 children sharing everything". Is the compassion for real though? "You can't put on for so long. You can't do it every day for 10-20-30 years," says a former employee. So does she tick off people for non-performance? For many, it takes a long time to figure out because it comes backhandedly with comments such as: "Where have I failed to support you? Or, what is it that I can do to get going?" It takes times to figure out that this was something you didn't do well enough. Those who work with her know whether it's a compliment or a word of encouragement to raise your game. RIL's own CSR activities are confined to social, educational, health, sanitation and ecological infrastructure in the catchment area in and around its townships at manufacturing locations such as Jamnagar and Patalganga. But before the Manmohan Singh-led government determinedly pursued its goal to make CSR mandatory for corporate India in the new Companies Act, 2013, Ambani was conceptualising widening RIL's social influence beyond its own locations. That gave birth to Reliance Foundation. The Foundation's Employee No. 1 Sudarshan Suchi recollects being invited, in August 2010, to a discussion with Nita and Mukesh Ambani in the 12th floor boardroom in Maker IV at Mumbai's Nariman Point. When asked about the focus of the Foundation, NMA (Nita Mukesh Ambani, as she is referred to) said: "Whatever it will take to make Indian a developed nation before we are in the 100th year of independence." The thought prompted the Foundation's flagship programme of rural transformation called Bharat India Jodo (BIJ). While the Foundation also works in areas such as healthcare (through hospitals and outreach programmes), education (through 13 schools), sports, disaster response and art, heritage and culture, it's the BIJ that accounts for more than half of its total outlay. Suchi says Ambani asked that the 'Bharat' (rural India) that is lagging behind needs to be brought to the same pace as modern, urban 'India'. "She said go and work wherever in the country the poorest reside where no other organisation is attending to. And none of these need be anywhere near Reliance's establishments," Suchi recollects. The BIJ programme is currently active in 540 villages in 33 districts and 12 states impacting 60,000 households and around three lakh individuals. Three new states were added to the programme in 2014/15 while one new school and a hospital (Sir H.N. 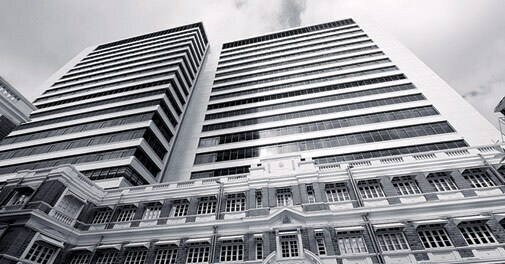 Reliance Foundation Hospital) were opened in the year. Today, 13 Reliance Foundation schools at Kopar Khairane in Maharashtra have enrolled 15,000 children. Suchi says the Foundation's various programmes have touched the lives of 4.5 million people till date. The health outreach has catered to 2.9 million consultations till date. The BIJ team of 550 development officers pick the poorest villages by human development index, where 70 per cent of households earn under Rs 30000 a year. They form a village association independent of the Panchayat. "Panchayat is a political body. We aspire the village association to be a development and economic body, to become the owners of their own destiny through capacity building," says Suchi. Every village association prepares a development plan by consensus where the Foundation invests. 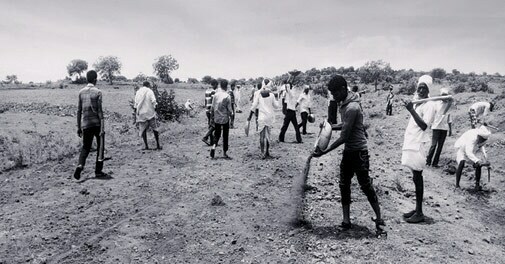 So while a village in Balangir has built a check dam, in Mandla the villagers engaged in tree plantation and built a water harvesting project. In Sirsam, Gangakhed the villagers built a 1.5-km long road. Year-end analysis is measured by outcomes and impacts. One of the goals was nutrition through kitchen gardens in the backyard. It's measured by the grammes of vegetables in farmer's garden. This year's goal is at least 150 gms per day per individual. It takes up to five to seven years of handholding. Agar near Ujjain is in the fifth year is the first village under BIJ in command of its own destiny. "They have the capacity to disagree with us, dispute, fight, challenge, demand and even throw us out. And that's what we wanted them to be. It's a compliment," says Suchi. Ambani is, however, impatient that BIJ hasn't reached 100 districts already. "She's here. I can hear her," says Zarene Munshi, the academic project director at the Dhirubhai Ambani International School in the sixth floor board room next to the chairperson's secretariat. Nita Ambani is at the door clad in an ISL league T-shirt and jeans. While she excuses herself to change for the shoot, Munshi recollects when at the JB Petit High School for Girls she first met Nita as a young mother who brought four-year-old Isha to the school. "She was rather dissatisfied with the kind of schools where the child was not at the centre of everything," says Munshi. "She felt there was too much emphasis on studies and not enough on non-academics. She wanted a holistic education and international education keeping in mind that we are Indian." So when Ambani dreamt of an International school in 2002, she wanted Munshi to be part of it. In the initial years there was no day or night. "She would wake up early and go to the school. In the first five to six years, she knew every child by name," says a former employee. Her involvement hasn't flagged though. "She leads workshops to get the teacher buy-in about the values we should cultivate ourselves and then pass them on to children," says Munshi. The 13 schools the Foundation runs teach over 15,000 children every day. Nita, however says she has another job to do - a school for the needs of special children (which is coming up near DAIS) and, perhaps, a University. "I want to get into higher education. I want to get into university. I want to get into things like liberal arts, engineering, dance," says Ambani. "Creating Jamnagar is one thing. Running a school is different. To lead IPL, to form a team, and cricketers are not the easiest thing in the world to lead. That's different. At every stage there was a bigger challenge and she has risen to the challenge," says Ajay Piramal, Chairman of Piramal Enterprises who has known Nita for 35 years.